Manchester Airport Group (MAG) has placed a significant purchase order with Pollution & Process Monitoring Ltd., for the supply of water quality instrumentation. The latest purchase of Protoc TOC analysers reaffirms MAG's commitment to continuous environmental monitoring and further strengthens the close working relationship with PPM, who manufactures their analysers in the United Kingdom. Mark Stewart (Environment Engineer) comments "PPM has a proven track record at Manchester Airport over the last 14 years. The reliability of their Protoc TOC technology and the quality of their service support, were key considerations. I am delighted that the Airport took note of these factors when placing the latest order since the Protoc technology and the quality of PPM's customer service is integral to our environmental compliance. 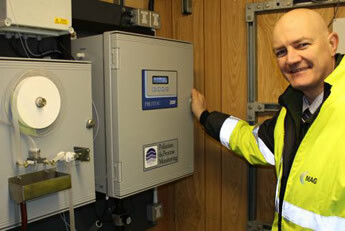 In addition we are standardising our instrumentation across the site reducing our operational maintenance cost". Whilst alternative instrumentation has been considered and previously used at the Airport, the Protoc technology has reliably outperformed over an extended period of time. Additionally, since the Protoc TOC analyser technology measures continuously with a fast response rather than intermittently, the instruments are ideal for real-time valve control. Pollution & Process Monitoring also has a wealth of experience in providing the complete system rather than just the analytical instrument. Mark has therefore commended PPM on their ability to deliver and engineer complete monitoring system which include sample delivery and preparation systems designed for the application. Mark also acknowledges "the ability of PPM to attend site to perform routine maintenance and schedule analyser reagents delivery, has also improved operational performance and minimised operator intertervention". The purpose of the water quality instrumentation is to provide continuous measurement and control of the surface water run-off lagoons adjacent to the runways. During the coldest winter months, planes, aprons and runways need to be sprayed with antifreeze agents to keep the Airport operational. 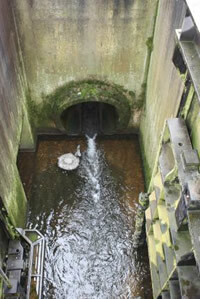 Surface water containing Aircraft de-icing fluid (PE Glycol) and pavement anti–icer (Potassium Acetate) is diverted to sewer to protect the local environment. 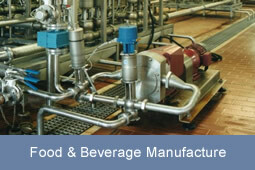 The Protoc TOC monitors continuously measure water quality and ultimately controls the diversion process. The original installation comprised four Protoc TOC analysers which were supplied October 1999 through Crown House Engineering during construction of Runway 2. A further analyser was then added to protect Sugar Brook another tributary to the river Bollin adjacent to Runway 2. The latest order includes the supply of five new Protoc 300 TOC analyers which also have the Environment Agency's Mcerts certification. Two analysers are to replace the original instruments on runway 2. These instruments measure the discharge of clean surface water into to the river Bollin, after passing through a series of balancing ponds, and when require activate diversion. Two analysers will be installed on the final discharge point from a 72,000 m3 reservoir combined with flow measurement offering information on the 'Total Loading'. A further instrument will be on runway 1, catchment 'D' Badger Brook tributary to Cotterill Clough Brook SSSI close to the airports visitors centre, the new instruments will be installed onto pre-formed PVC panels at the new locations. The extent of the continuous monitoring has now seen increased which will provide an even more proactive approach to environmental compliance monitoring and site discharge control. 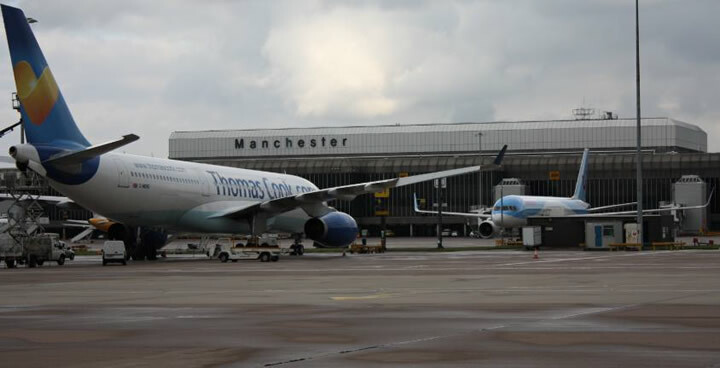 Phase 1 investment will ensure that Manchester Airport Group continues to be responsible in their environmental approach and manage the site's surface water discharge according to measured water quality. 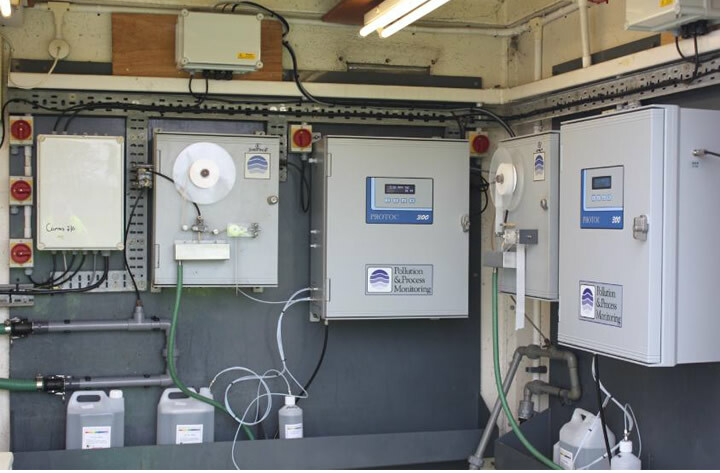 The Protoc analyser technology has been used extensively in the United Kingdom to monitor and control surface water discharge. Installations at Airports include Birmingham International Airport and extend to the far north of Scotland at Wick and Internationally as far west as Seatle.